As you know many designers use suede fabric for their fall and winter collections creating comfy pieces of clothes, shoes and accessories. Do you have anything from suede? 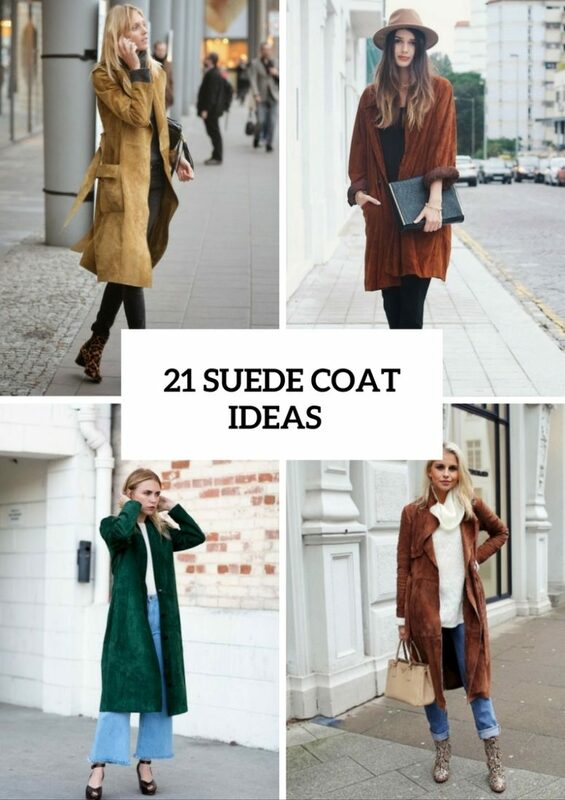 If your answer is no, what about to start with suede coats? 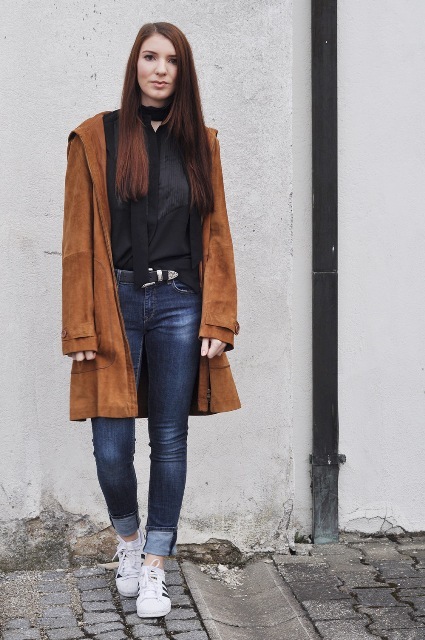 Today I’ve prepared some suede coat ideas to make perfect fall outfits. They’re stylish, cozy and unique at the same time and will make any look more eye-catching! First of all, you need to decide what length your coat will have: maxi, midi or knee-length ones. Will it have a belt? Or it should be a loose one? Will you choose a classic brown suede coat or colored one? Yes, there are so many questions, but you really need to answer them to create your outfits right. 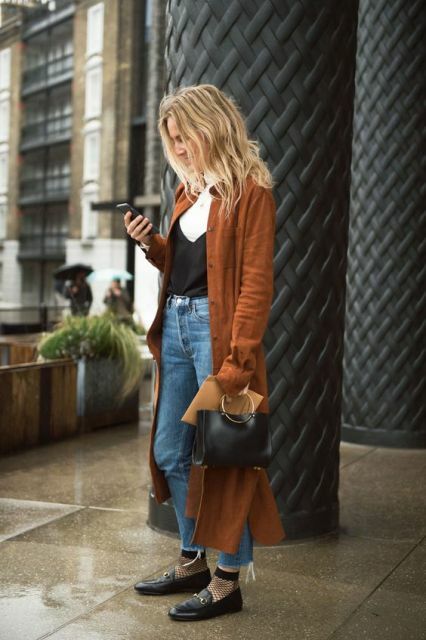 For those who love casual outfits, I offer to pick up a brown suede coat (choose from light to dark shades) and pair it with simple skinny jeans or black trousers, monochrome shirt and ankle boots. But if you wanna add some bright accents, then choose a printed shirt, distressed jeans, flat or heeled boots with leopard print (or any animal print will look great) and a mini bag. 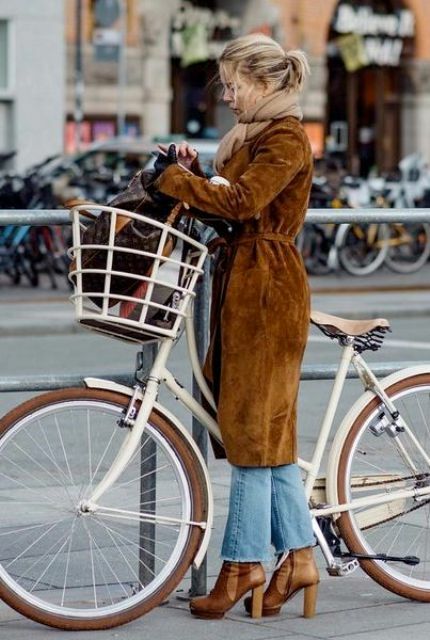 For creating a boho style outfit you can find a loose midi coat (it can be with fringe), boyfriend cuffed jeans, leather loafers and wide brim hat. You can add a clutch to complete the whole look. 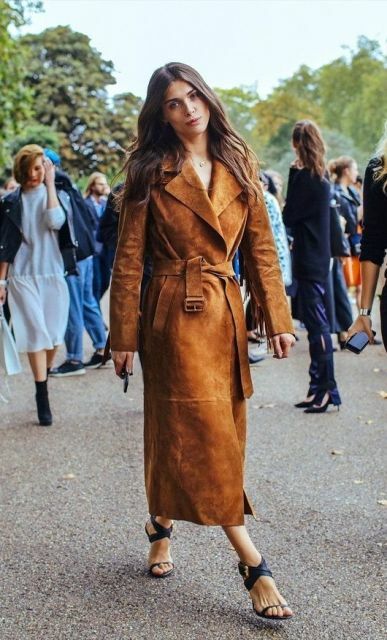 For colder autumn days you can take a suede coat with a fur collar and cuffs and pair it with a turtleneck and dark color trousers. 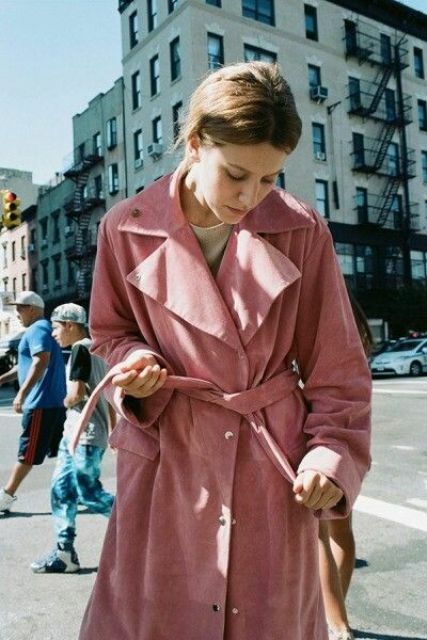 If you’re tired of simple color combinations and ready to create something unique, then choose a colored suede coat such as teal, burgundy, light pink, etc. No doubt all eyes will be on you! Wanna more ideas? Then scroll down. Get inspired!